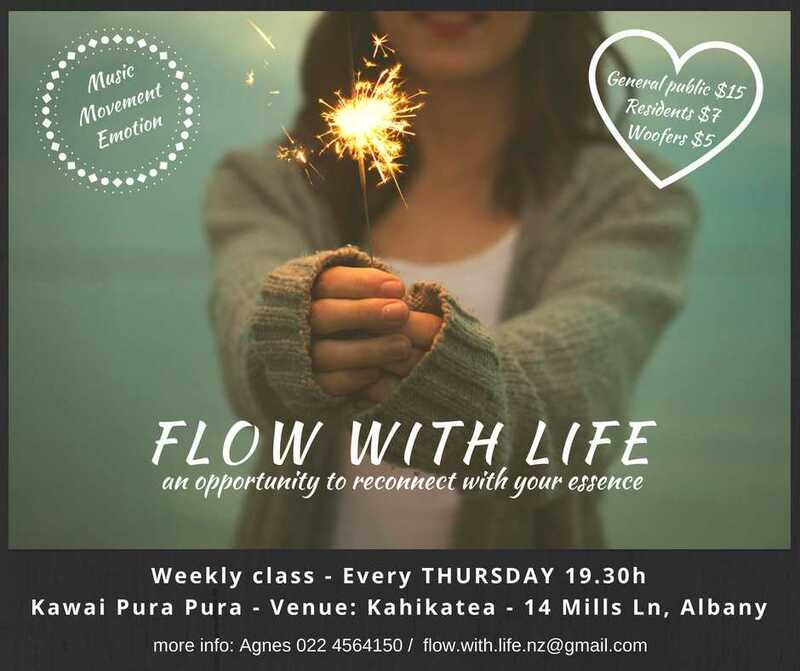 FLOW WITH LIFE, by Agnes. What is Flow With Life? It is an opportunity to reconnect with our essence, calming our minds and feeling deeply into our bodies. In such state of consciousness we realize the blessing of being alive, awaking our true self and making soul choises. We celebrate life sharing with others, learning about our mirrors and re-connecting with the Universe. I provide a safe and caring space where Love reveals through each individual. We feel, laugh, play, dance, have fun and enjoy existence! Agnes Cofiño was born in Argentina. She is a Life Beloved. Her passion is sharing experiences with others and “flow with life”. Biodanza system student, she have journeyed through several personal processes. She has came to New Zealand full of energy and love to share with anyone who wants to make every day a magical opportunity to enjoy life. “When I went to my first Biodanza class, I felt that I had reached my place in the world, where I felt real, simple and in tune with love. Joy overflowed my heart!